- FrancesCassandra: UK fashion, beauty and lifestyle blog. 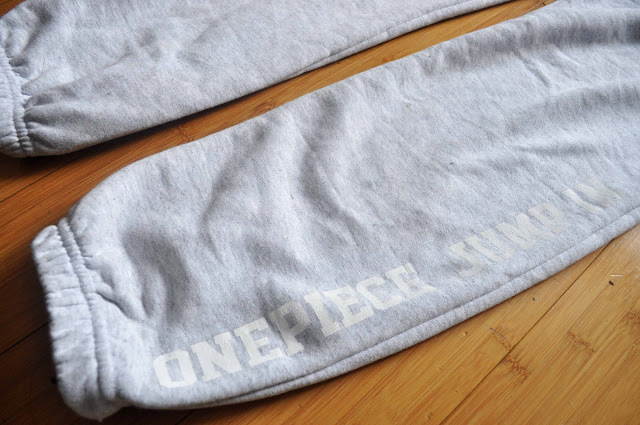 : OnePiece Jump In. When I attended the Nelly event in Liverpool last month, I was kindly given a OnePiece to take home and review. OnePiece is a Norwegian brand who make one piece (who'd have known?) 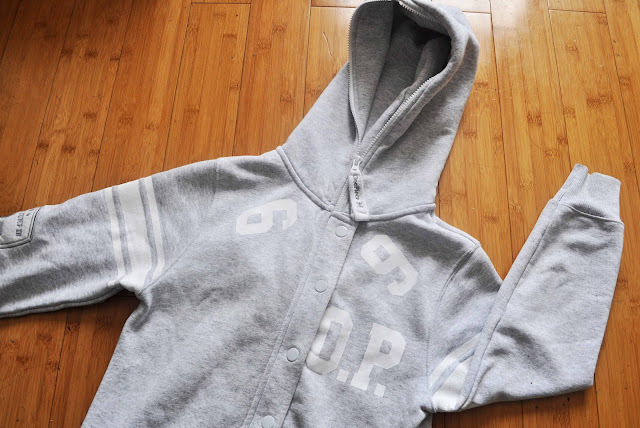 sweatsuits, which were designed with lazy, hungover days in mind. I love my OnePiece, and it has definitely served me well through some lazy Sundays after a long, hard night of partying. The inside is fleecy and soft and it is great at keeping me warm so I can't wait to wear it over the winter months. They are sized quite large and are unisex- The sizes range from XXS to XL and an XXS fits me perfectly (I'm just under 5ft 4, for reference). 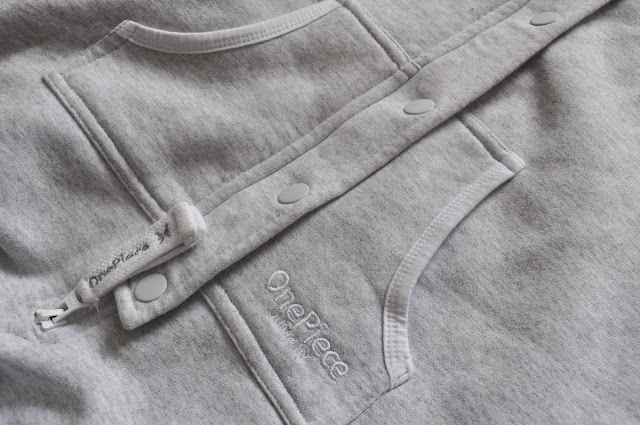 OnePieces come in a lot of different colours and designs too (the one I have is the College 69 Grey Melange*), and if onesies aren't your thing, they also sell hoodies, playsuits, tank tops, shorts and pants (I really want one of their hoodies, they look so comfy!). The downside about OnePiece is that their products are quite pricey. Products start at around £59-£89 for hoodies and sweatpants, £98 for a basic original OnePiece, and printed/designed versions sell for way over £100. If you can justify paying those sort of prices, however, I can assure you that you are paying for quality and I can see mine lasting a long time. The Onepieces are made out of quite a heavy material, and mine has been in the washing machine a few times now and the material inside hasn't lost its fleeciness or turned bobbly. If you would like to check out what OnePiece have to offer, you can go to their website here. Sorry for the lack of photos of me wearing my OnePiece, I didn't have chance to take any pictures of myself in it, but I will try to update this post with a picture tomorrow! For now, check out these pictures of the models wearing them for reference (the middle one is the one that I have- please note that I don't look as trendy as these girls when I'm wearing mine; I somewhat resemble a potato of some sort). 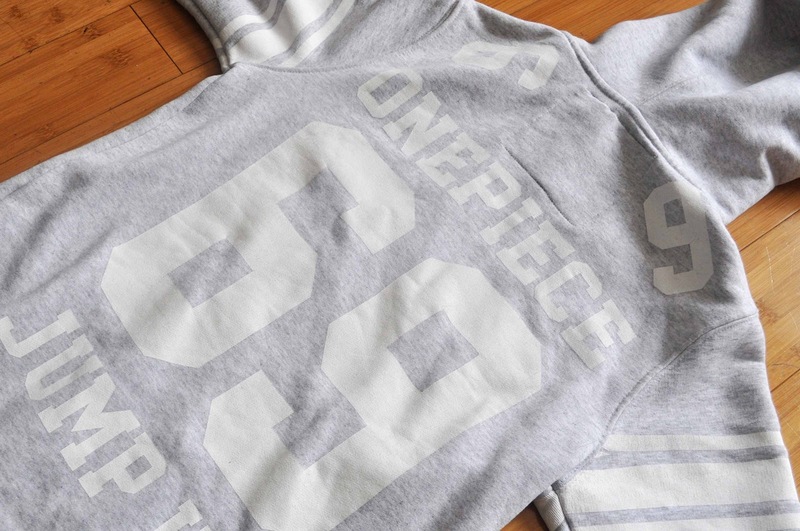 Do you own anything from OnePiece? Or would you rather settle for an £8 Primark number? *DISCLOSURE: This item was kindly given to me for review purposes. My opinions are still 100% honest and my own. Awh this is so cute! I love it! That looks sooo comfy. Can't believe they're that expensive though! Oh my gosh these look SO comfy! This actually looks like my perfect 'around the house' kind of thing but i might have to settle for a Primark number as i couldn't force myself to part with that kinda money for one, even if it does look and sound amazing! I would not recommend OnePiece at all. Their quality of garments are terrible and level of customer service on their official site non-existent. I purchased 4 'OnePiece onesies' under their buy 3 get 4th free promotion, only to find I was charged full price! When the products came they were awful quality, and I tried contacting a 'Chris' (seemingly the only person who works for OnePiece customer support) only to find that he completely ignored all of my concerns and basically ended every correspondence with 'tough luck'. My recommendation: Purchase a tidy little £8 number from Primark.